Gallipolis City Commissioner Tony Gallagher. GALLIPOLIS — One Gallipolis City Commissioner requested colleagues and city residents to consider shutting down city operations on this upcoming Veterans Day during the regular commission meeting Tuesday evening. 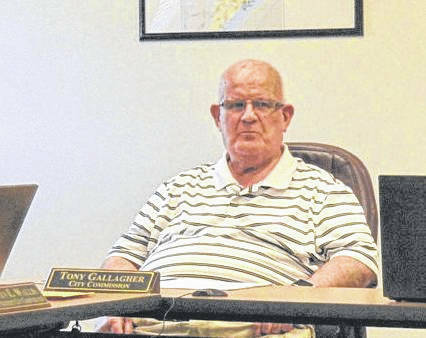 Gallagher urged the city to close on Veterans Day this coming November and asked citizens to reach out to him for opinions, whether they agreed or disagreed with his perspective. No further discussion or decisions were made on the matter during the meeting. Dean Wright can be reached at 740-446-2342, ext. 2103, or at the Gallipolis Daily Tribune Facebook page. https://www.mydailytribune.com/wp-content/uploads/sites/42/2018/07/web1_Tony.jpgGallipolis City Commissioner Tony Gallagher.